If you’re looking for a worthy cause to donate to, look no further. A Michigan improv theater has created a crowdfunding campaign that’s hard to turn down. 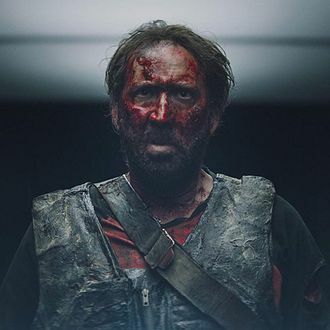 For the past six years at Planet Ant — which was co-founded by Keegan-Michael Key — has hosted a Nicolas Cage film festival titled Nicolas UnCaged. This year, the theater has decided to take things a step further … by attempting to break the Guinness World Record for “longest full-body human burn” in honor of Cage, who has had more than his fair share of big-screen fire scenes. What is money if for if not for this — setting the world record for the longest consecutive full body burn. In other words, setting a man, a full man, on fire. And not just any man. Acclaimed stunt man, pyrotechnic specialist, and stuntman to our one true god. Schuyler White will attempt a world record (legally and with the assistance of local fire safety professionals) while we continue in our tradition of throwing the world’s premiere Nicolas Cage appreciation celebration — UnCaged 6(6)6 . First, the cost of the burn. Just to burn a man, it will cost $3,000 in supplies, materials, and safety measures. The second chunk of donations, $10,000, will allow us to fly out the Guinness World Record folks from England so that they, like you, can witness the Guinness World Record for the longest duration full-body burn and put Hamtramck and UnCaged Fest on the map. If we do not meet our goal or should we surpass it, we will donate the full/remaining amount to the Hamtramck Fire Department. Either way, folks, we are setting a man on fire. The man-burning is slated for February 23, between screenings of Ghost Rider: Spirit of Vengeance and Drive Angry, so start throwing your money at this great cause today.